As summer draws to a close (summer officially ends on September 22) it is important to prepare your yard for the next growing season. 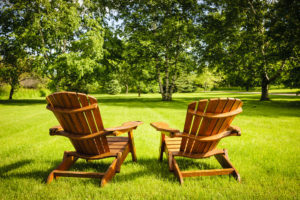 Maybe your yard didn’t do so well this last year and you are promising yourself that you will do better next year, in this article we will teach you how to prepare your yard for it’s best year ever (2019)! Having the lush, green lawn you aspire to have isn’t a matter of having a green thumb: it’s all in the prep work! Towards the end of the winter months (though it is Houston, so winter means something different than it does in other places that actually get snow and heavy freezes) your grass is likely to look brown and spotty. 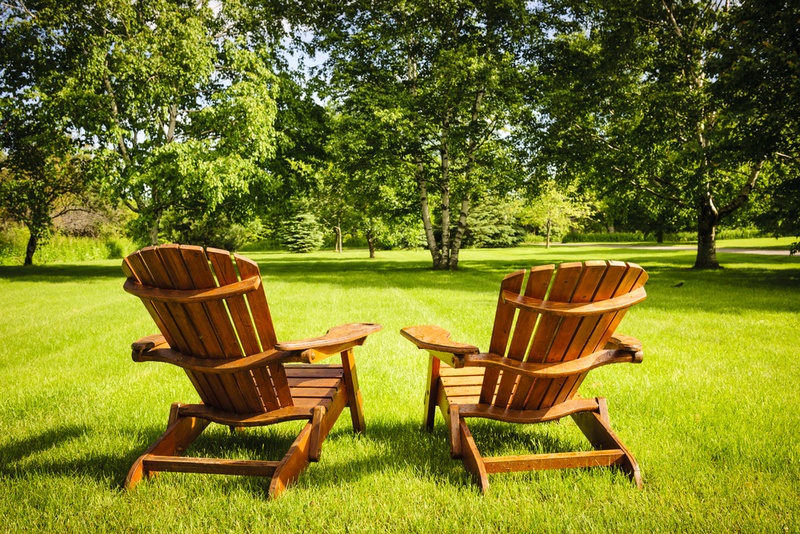 Here are 4 things you can do to get your lawn spring ready to ensure maximum green! While we don’t get the snow, the cold that we do get in the Houston winter months does compact the soil of your lawn, making it harder for your grass to take in moisture and breathe (yes, grass needs air!). A grass aerator is a spiky tool that will poke holes in your lawn down to the roots of your grass, which will help to deposit water into the lawn to eventually be reabsorbed. This gives your grass roots a chance to breathe and absorb water to stay healthier during the mostly dormant months, helping it to revive in the spring and have less brown dead spots to deal with later on. Make sure to mow the grass you have during the winter as low as possible and keep it that way (because given our climate your grass will continue to grow a little bit over time during the fall and even winter months). The warmer grasses common to Houston become brittle during the colder times of the year, with the tips of fully mature grass turning to a lighter brown, which can be an eyesore. When you do mow your winter time grass low (½ an inch is a good length) disconnect your clippings bag and leave them on the lawn to be reabsorbed which will act as a natural fertilizer. When temperatures start to reach around 70 degrees, you will know that is your cue to begin fertilizing and take anti-weed efforts to help your lawn looking perfect when things warm up further during spring. Note: It is very important to wait until it is warmer to apply fertilizer (we recommend 1 pound of slow-release nitrogen fertilizer per 1,000 square feet of yard), as doing so during colder temperatures can actually damage your grass. Applying anti-weed herbicide during the January and February months will go a long ways to avoiding a weed battle midsummer. As spring time rolls around you will begin to see area that need a little TLC. Treat brown spots with a little extra love, reseed areas of your lawn that may have died out completely, and treat tough weed infested areas with high quality herbicide as needed. Having a green thumb isn’t what it takes to have an amazing spring time yard that continues to be a pleasing sight for months afterwards; proper prep is! You deserve a beautiful lawn. You’ve got this! Hey, Do you know what goes great with a lush green yard? A pergola! 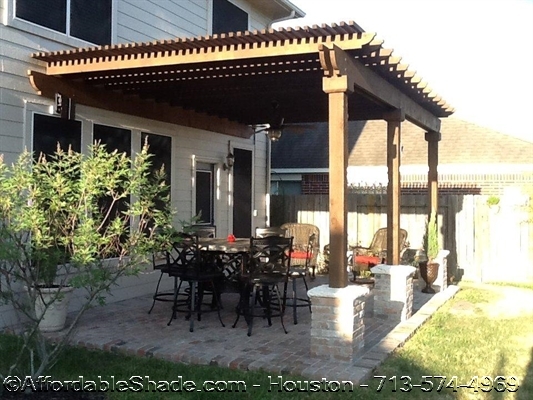 Contact Affordable Shade Patio Covers for a free design consultation to make your backyard dreams a reality. Our phone number is 713-574-4969!